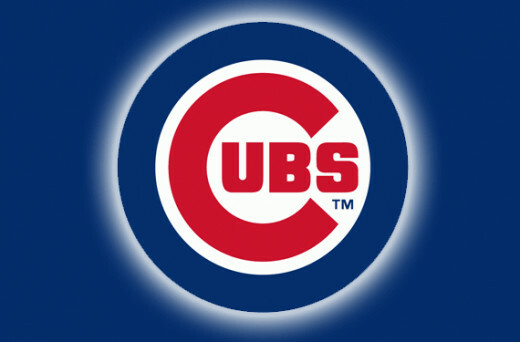 Can the Chicago Cubs Win the NL Central? The Schedule Says Maybe. Vote Now. Luke Norris is a freelance writer whose work has been read in 58 countries. For more, visit his blog, The Luke Norris Experience. It's the middle of August and the Chicago Cubs are sitting in third place in the National League Central. Normally, this wouldn't be big news, especially to the "Completely Useless By September" haters of the world, but in 2015, things are a little different on the north side. Even if the Cubs were not playoff contenders, fans might even be pleased with third place, especially with the fact that they haven't won more than 75 games since 2009. But once again, things are different in Chicago in 2015. The success of the youth movement that was promised when Theo Epstein became the President of Baseball Operations has finally arrived. Entering Tuesday night's contest at Wrigley Field against the Detroit Tigers, the third-place Cubs have the fourth-best record in Major League Baseball. Outside of the American League Central, which is being dominated by the Kansas City Royals, Chicago would be leading every other division in baseball. They own a 67-49 mark, which calculates to a .578 winning percentage. They sit eight games behind the division-leading St. Louis Cardinals, and two games behind the second-place Pittsburgh Pirates, who also own the first wildcard spot in the National League. The Cubs own the second spot, four clear of the San Francisco Giants. So as the playoff format currently exists, the team with the third-best record in baseball would host the team with the fourth-best record in baseball in a one-game playoff to determine who visits the team with the very best record in baseball in a five-game series. It doesn't quite make sense, but I'm not here to argue the playoff format today (don't worry, I'll get around to it). What's on the table today is whether or not a team that sits behind two others, eight back of the division lead, can actually overtake the Pirates and Cardinals and miraculously win the National League Central. It seems like a long shot, and it just may be, but with seven games against Pittsburgh and six games against St. Louis still to come, anything is possible. And let's not forget that the Pirates and Cardinals still have six more games against one another as well. That opens the door to so many scenarios. Here's how the rest of the season breaks down for the Cubs. 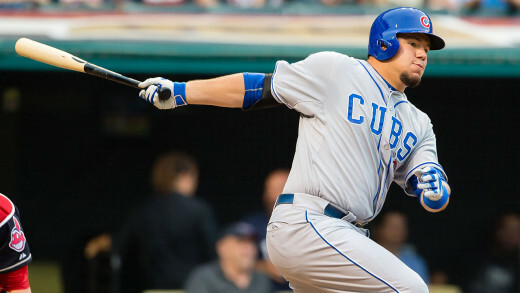 The Cubs host two interleague games with the 56-61 Detroit Tigers. Jason Hammel looks to get Chicago back to their winning ways after their nine-game winning streak was snapped on Sunday by the White Sox. 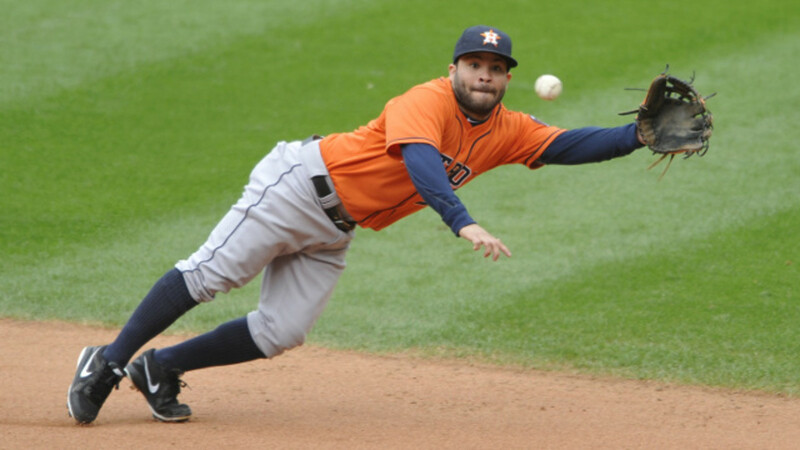 Anibal Sanchez takes the ball for Detroit. Jon Lester takes on Daniel Norris tomorrow night. The Cubs managed a split in Detroit back in June. They probably wouldn't be happy with the same result in this short series. A four-game series at home against a disappointing Braves team, currently at 53-65, is a series that the Cubs must take advantage of. They're 2-1 against Atlanta this year and won't be happy with anything less than three out of four. This is a makeup date from a game that was rained out at Wrigley Field on June 15. If all goes according to plan, Jake Arrieta would be pitching this game, and he's been lights out for the Cubs for quite some time now. The Cubs were 1-2 in the split-city series in June, so they'll be looking to even up the series at two wins apiece. This is a big series. The Cubs begin a six-game trip out west with the team that's currently behind them in the wildcard standings, the San Francisco Giants. The Cubs currently hold a four-game lead on them for that second spot, largely due to the four-game sweep at Wrigley Field just a few weeks back. The Dodgers, who currently sit atop the National League West with a 67-51 record, will be in a dogfight with the Giants for that division title, so every single game will certainly matter to them as well. Two out of three has to be the goal here. The Cubs return home to host the Reds, who they've had great success against this season, holding a 9-4 advantage. The Reds currently sit fourth in the NL Central at 51-65. The Cubs have to be thinking sweep as September baseball gets started. 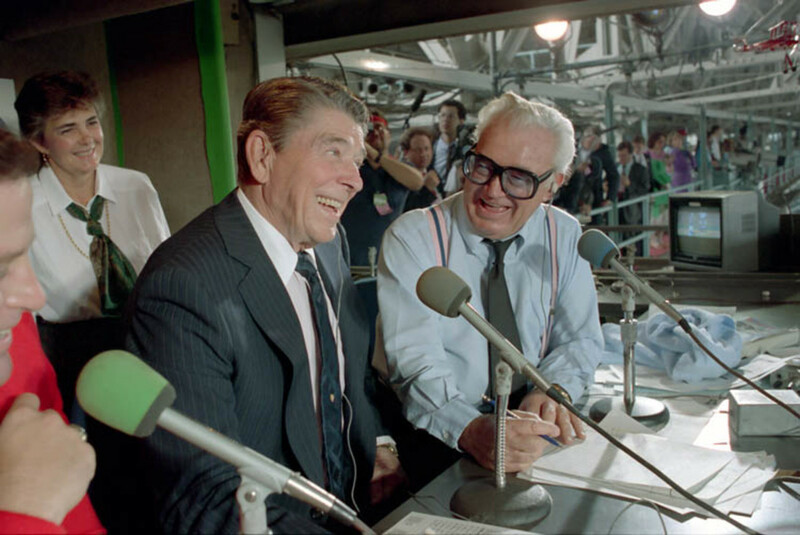 After a day off, the Cubs continue a six-game homestand against the Arizona Diamondbacks, who have been hovering around .500 most of the season and currently sit at 58-59. The Cubs weren't as successful as they wanted to be in the first meeting with Arizona this year, winning only one of three in the desert, so they'll need to turn the tables this time around and take two of these three at the very least. And here we go. Three games in September against their biggest rival and the best team in baseball, the St. Louis Cardinals. If the Cubs are to have any chance of catching St. Louis, not only will they need to win most of those games against sub-.500 teams, but they'll need a big series on the road to keep pace. Even taking two out of three would be a confidence booster for the Cubs, as they've lost nine out of thirteen this year against the Cardinals. At 46-72, the Philadelphia Phillies are the worst team in the major leagues. However, three of those wins came at the hands of the Cubs at Wrigley Field during a three-game sweep last month. At least Cole Hamels isn't there to no-hit them again. But this is actually a crucial series for Chicago. Good teams win the games they're supposed to win, and winning no less than three of these four games would be a major disappointment. This will probably end up being September 14-17, but no makeup date has been announced for the game between these two teams that was rained out on August 3rd. Both teams have an off day that day, and with the Cubs coming to town anyway, it seems to make the most sense. However, this is the Pirates' only off day in September and Major League Baseball would have to approve them playing thirty days in a row. If not, I know Ernie Banks would just tell them to play two on the 15th. Either way, this is a huge series for both teams. They're currently separated by only two games and who knows what that situation may look like in mid-September. What I do know is that the Pirates are a very, very good baseball team with their sights set on a deep October run. The Cubs are 7-5 against the Bucs thus far and obviously have to catch Pittsburgh before they can catch St. Louis. After a long road trip to the east coast, the Cubs return home for a big weekend series with the Cardinals. Cubs fans hope for the same result and intensity they got from an epic series late in the season in 2003 that propelled the Cubs into the postseason. It will be very interesting to see how the race has played out when this rivalry match-up rolls around. Certainly, there had to be some games with the Brew Crew left. Milwaukee currently sits at the bottom of the NL Central with a dismal 51-69 record, but would love the chance to play spoiler for their rivals to the south. That may be a difficult task, as the Cubs own a 9-4 record against the Brewers this season. The Cubs wrap up their final weekend at Wrigley Field with another set against the Pittsburgh Pirates. There's a big chance that both teams will be fighting for position at this point, so it's a safe bet that these games will be very intense. As it currently stands, this is the only team from the American League with a better record than Chicago. The Royals have basically wrapped up the AL Central with a 71-46 record and a 12 1/2 game lead over second-place Minnesota. They return to Wrigley Field to complete a three-game series that started in May, with the middle game of that series being rained out on May 30. The teams split the other two games. This would be a nice win for Chicago. They'll probably need it a little more than Kansas City does at this point. The Cubs will end the season with six games on the road, starting with three against the Reds as October baseball officially begins. The regular season comes to a close in Milwaukee, better known to Cubs fans as Wrigley Field North. Expect Chicago supporters to come out in droves. It's extremely tough to say where the Cubs will be in the standings at this point, but a season-ending sweep against the Brewers would be a good thing no matter what the situation. Entering Tuesday night's game, the Cubs have 46 games remaining, 23 at home and 23 on the road. That doesn't seem to be a big deal to Joe Maddon's squad, as they have nearly identical records no matter where the location, 34-24 at home, and 33-25 on the road, which is best in the big leagues by a few percentage points ahead of...of course, the St. Louis Cardinals. It may be far-fetched to believe that the Cubs can actually make up eight games in just under seven weeks to win the division. A wildcard spot seems more likely, but this is baseball. Things can change in just a matter of weeks. Ask the Washington Nationals. And let's not forget that we're talking about the Chicago Cubs. Good or bad, it's not crazy to think that just about anything could happen. Just don't think the Cardinals and Pirates are going to give anything to them. So what do you think? 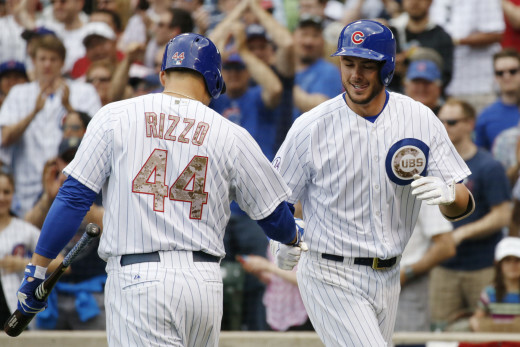 Can the Cubs actually win the NL Central? Will they even hang on to make the playoffs? Vote below. Can the Chicago Cubs win the National League Central? Will they even hang on to make the playoffs? Cards vs. Cubs June 20, 2016 - Was This The Best Game Of The Year (So Far)?